In the most recent Annual Report, readers will find information on all EAHAD-related activities for 2017. Highlights include the 10th anniversary edition of the Annual Congress, which took place in Paris, France; the yearly progress made by our working parties and committees; an update on the impact EAHAD had on its communication platforms; as well as information on our funding and governance structure. 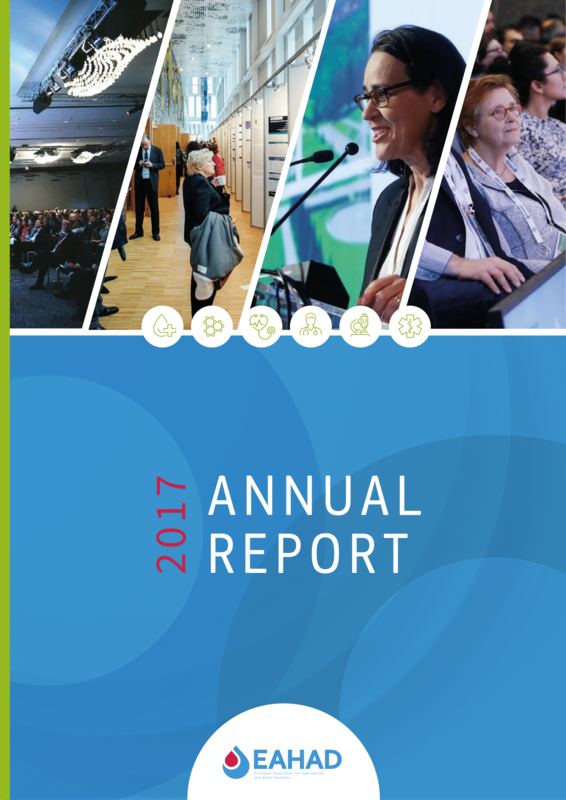 Read and download the 2017 EAHAD Annual Report (PDF). This Annual Report is a snapshot of the activities carried out by EAHAD in 2016. It includes statistics from our 9th Congress, which took place in Malmö, Sweden; a look at what was achieved by our committees and working parties; an update on European haemophilia centre certifications; as well as information on our funding and governance structure. 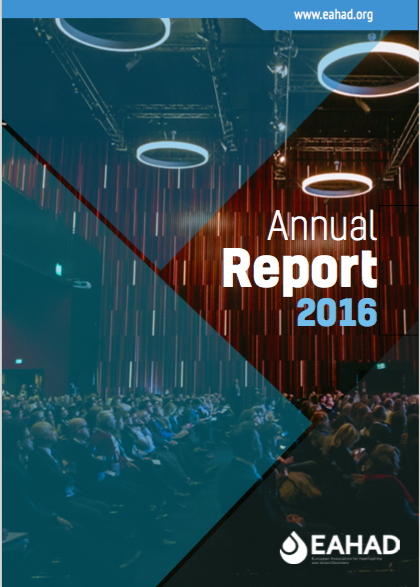 Read and download the 2016 EAHAD Annual Report (PDF). The report summarizes the work undertaken by the European Association of Haemophilia and Allied Disorders over the course of the year. 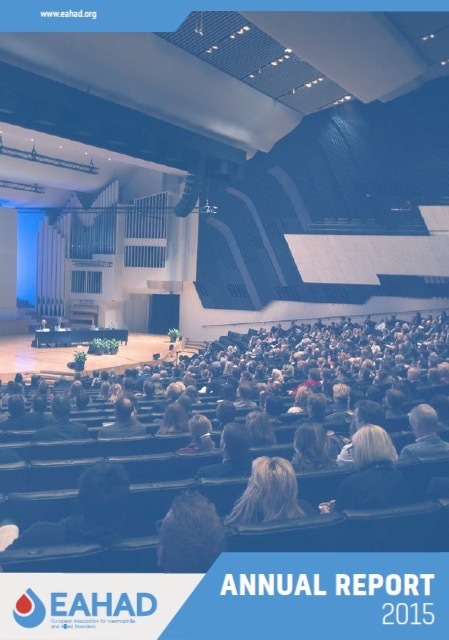 Highlights of 2015 included a record-breaking congress held in Helsinki in February, the greater inclusion of multidisciplinary professionals in EAHAD’s governance structure, through the creation of the Physiotherapists Committee and the inclusion of both nurse and physiotherapist representatives on the Executive Committee, and a focus on regional development and collaboration through a joint advocacy visit to Estonia and Latvia in conjunction with the European Haemophilia Consortium and the World Federation of Haemophilia. Read and download the 2015 EAHAD Annual Report (PDF).